In 1600, the East India Company acquired a charter from Queen Elizabeth I, granting it the sole right to trade with the East. The royal charter, however, could not prevent other European powers from entering the Eastern markets. By the time the first English ships sailed down the west coast of Africa, round the Cape of Good Hope, and crossed the Indian Ocean, the Portuguese had already established their presence in the western coast of India, and had their base in Goa. In fact, it was Vasco da Gama, a Portuguese explorer, who had discovered this sea route to India in 1498. By the early seventeenth century, the Dutch too were exploring the possibilities of trade in the Indian Ocean. Soon the French traders arrived on the scene. The problem was that all the companies were interested in buying the same things. The fine qualities of cotton and silk produced in India had a big market in Europe. Pepper, cloves, cardamom and cinnamon too were in great demand. Competition amongst the European companies inevitably pushed up the prices at which these goods could be purchased, and this reduced the profits that could be earned. The only way the trading companies could flourish was by eliminating rival competitors. The urge to secure markets therefore led to fierce battles between the trading companies. Through the seventeenth and eighteenth centuries they regularly sank each other’s ships, blockaded routes, and prevented rival ships from moving with supplies of goods. Trade was carried on with arms and trading posts were protected through fortification. This effort to fortify settlements and carry on profitable trade also led to intense conflict with local rulers. The company therefore found it difficult to separate trade from politics. East India Company begins trade in Bengal The first English factory was set up on the banks of the river Hugli in 1651. This was the base from which the Company’s traders, known at that time as “factors”, operated. As trade expanded, the Company persuaded merchants and traders to come and settle near the factory. By 1696 it began building a fort around the settlement. Two years later it bribed Mughal officials into giving the Company zamindari rights over three villages. One of these was Kalikata, which later grew into the city of Calcutta. It also persuaded the Mughal emperor Aurangzeb to issue a farman granting the Company the right to trade duty free. The Company tried continuously to press for more concessions and manipulate existing privileges. Through the early eighteenth century the conflict between the Company and the nawabs of Bengal intensified. After the death of Aurangzeb, the Bengal nawabs asserted their power and autonomy, as other regional powers were doing at that time. Murshid Quli Khan was followed by Alivardi Khan and then Sirajuddaulah as the Nawab of Bengal. Each one of them was a strong ruler. They refused to grant the Company concessions, demanded large tributes for the Company’s right to trade, denied it any right to mint coins, and stopped it from extending its fortifications. Accusing the Company of deceit, they claimed that the Company was depriving the Bengal government of huge amounts of revenue and undermining the authority of the nawab. It was refusing to pay taxes, writing disrespectful letters, and trying to humiliate the nawab and his officials. The Company on its part declared that the unjust demands of the local officials were ruining the trade of the Company, and trade could flourish only if the dutieswere removed. It was also convinced that to expandtrade it had to enlarge its settlements, buy up villages,and rebuild its forts. The conflicts led to confrontations and finally culminated in the famous Battle of Plassey. When Alivardi Khan died in 1756, Sirajuddaulah became the nawab of Bengal. The Company was worried about his power and keen on a puppet ruler who would willingly give trade concessions and other privileges. So it tried, though without success, to help one of Sirajuddaulah’s rivals become the nawab. An infuriated Sirajuddaulah asked the Company to stop meddling in the political affairs of his dominion, stop fortification, and pay the revenues. After negotiations failed, the Nawab marched with 30,000 soldiers to the English factory at Kassimbazar, captured the Company officials, locked the warehouse, disarmed all Englishmen, and blockaded English ships. Then he marched to Calcutta to establish control over the Company’s fort there. On hearing the news of the fall of Calcutta, Company officials in Madras sent forces under the command of Robert Clive, reinforced by naval fleets. Prolonged negotiations with the Nawab followed. Finally, in 1757, Robert Clive led the Company’s army against Sirajuddaulah at Plassey. One of the main reasons for the defeat of the Nawab was that the forces led by Mir Jafar, one of Sirajuddaulah’s commanders, never fought the battle. Clive had managed to secure his support by promising to make him nawab after crushing Sirajuddaulah. The Battle of Plassey became famous because it was the first major victory the Company won in India. After the defeat at Plassey, Sirajuddaulah was asassinated and Mir Jafar made the nawab. The Company was still unwilling to take over the responsibility of administration. Its prime objective was the expansion of trade. If this could be done without conquest , through the help of local rulers who were willing to grant privileges, then territories need not be taken over directly. Soon the Company discovered that this was rather difficult. For even the puppet nawabs were not always as helpful as the Company wanted them to be. After all, they had to maintain a basic appearance of dignity and sovereignty if they wanted respect from their subjects. When Mir Jafar protested, the Company deposed him and installed Mir Qasim in his place. When Mir Qasim complained, he in turn was defeated in a battle fought at Buxar (1764), driven out of Bengal, and Mir Jafar was reinstalled. The Nawab had to pay Rs 500,000 every month but the Company wanted more money to finance its wars, and meet the demands of trade and its other expenses. It wanted more territories and more revenue. By the time Mir Jafar died in 1765 the mood of the Company had changed. Having failed to work with puppet nawabs, Clive declared: “We must indeed become nawabs ourselves.” Finally, in 1765 the Mughal emperor appointed the Company as the Diwan of the provinces of Bengal. The Diwani allowed the Company to use the vast revenue resources of Bengal. This solved a major problem that the Company had earlier faced. From the early eighteenth century its trade with India had expanded. But it had to buy most of the goods in India with gold and silver imported from Britain. This was because at this time Britain had no goods to sell in India. The outflow of gold from Britain slowed after the Battle of Plassey, and entirely stopped after the assumption of Diwani. Now revenues from India could finance Company expenses. These revenues could be used to purchase cotton and silk textiles in India, maintain Company troops, and meet the cost of building the Company fort and offices at Calcutta. After the Battle of Plassey the actual nawabs of Bengal were forced to give land and vast sums of money as personal gi f ts to Company officials. 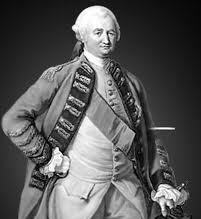 Robert Clive himself amassed a fortune in India. He had come to Madras (now Chennai) from England in 1743 at the age of 18. When in 1767 he left India his Indian fortune was worth £401,102. Interestingly, when he was appointed Governor of Bengal in 1764, he was asked to remove corruption in Company administration but he was himself cross-examined in 1772 by the British Parliament which was suspicious of his vast wealth. Although he was acquitted, he committed suicide in 1774.
methods to extend its influence before annexing an Indian kingdom. After the Battl of Buxar (1764), the Company appointed Residents in Indian states. They were political or commercial agents and their job was to serve and further the interests of the Company. Through the Residents, the Company officials began interfering in the internal affairs of Indian states. They tried to decide who was to be the successor to the throne, and who was to be appointed in administrative posts. Sometimes the Company forced the states into a “subsidiary alliance”. According to the terms of this alliance, Indian rulers were not allowed to have their independent armed forces. They were to be protected by the Company, but had to pay for the “subsidiary forces” that the Company was supposed to mainta in for the purpose of this protection. If the Indian rulers failed to make the payment, then part of their territory was taken away as penalty. For example, when Richard Wellesley was Governor General (1798-1805), the Nawab of Awadh was forced to give over half of his territory to the Company in 1801,as he failed to pay for the “subsidiary forces”. Hyderabad was also forced to cede territories on similar grounds. The Company resorted to direct military confrontation when it saw a threat to its political or economic interests. This can be illustrated with the case of the southern Indian state of Mysore. Mysore had grown in strength under the leadership of powerful rulers like Haidar Ali (ruled from 1761 to 1782) and his famous son Tipu Sultan (ruled from 1782 to 1799). Mysore controlled the profitable trade of the Malabar coast where the Company purchased pepper and cardamom. In 1785 Tipu Sultan stopped the export of sandalwood, pepper and cardamom through the ports of his kingdom, and disallowed local merchants from trading with the Company. He also established a close relationship with the French in India, and modernised his army with their help. The British were furious. They saw Haidar and Tipu as ambitious, arrogant and dangerous – rulers who had to be controlled and crushed. Four wars were fought with Mysore (1767- 69, 1780-84, 1790-92 and 1799). Only in the last – the Battle of Seringapatam – did the Company ultimately win a victory. Tipu Sultan was killed defending his capital Seringapatam, Mysore was placed under the former ruling dynasty of the Wodeyars and a subsidiary alliance was imposed on the state. From the late eighteenth century the Company also sought to curb and eventually destroy Maratha power. With their defeat in the Third Battle of Panipat in 1761, the Marathas’ dream of ruling from Delhi was shattered. They were divided into many states under different chiefs (sardars) belonging to dynasties such as Sindhia, Holkar, Gaikwad and Bhonsle. These chiefs were held together in a confederacy under a Peshwa (Principal Minister) who became its effective military and administrative head based in Pune. Mahadji Sindhia and Nana Phadnis were two famous Maratha soldiers and statesmen of the late eighteenth century. The Marathas were subdued in a series of wars. In the first war that ended in 1782 with the Treaty of Salbai, there was no clear victor. The Second AngloMaratha War (1803-05) was fought on different fronts, resulting in the British gaining Orissa and the territories nor th of the Yamuna river including Agra and Delhi. Finally, the Third Anglo-Maratha War of 1817-19 crushed Maratha power. The Peshwa was removed and sent away to Bithur near Kanpur with a pension. The Company now had complete control over the territories south of the Vindhyas. It is clear from the above that from the early nineteenth century the Company pursued an aggressive policy of territorial expansion. Under Lord Hastings (GovernorGeneral from 1813 to 1823) a new policy of “paramountcy” was initiated. Now the Company claimed that its authority was paramount or supreme, hence its power was greater than that of Indian states. In order to protect its interests it was justified in annexing or threatening to annex any Indian kingdom. This view continued to guide later British policies as well. This process, however, did not go unchallenged. For example, when the British tried to annex the small state of Kitoor (in Karnataka today), Rani Channamma took to arms and led an anti-British resistance movement. She was arrested in 1824 and died in prison in 1829. But Sangoli Rayanna, a poor chowkidar in Kitoor, carried on the resistance. With popular support he destroyed many British camps and records. He was caught and hanged by the British in 1830. In the late 1830s the East India Company became worried about Russia.It imagined that Russia might expand across Asia and enter India from the north-west.Driven by this fear,the British now wanted to secure their control over the north-west. They fought a prolonged war with Afghanistan between 1838 and 1842 and established indirect Company rule there. Sind was taken over in 1843. Next in line was Punjab. But the presence of Maharaja Ranjit Singh held back the company. After his death in 1839, two prolonged wars were fought with the Sikh kingdom. Ultimately, in 1849, Punjab was annexed. The final wave of annexations occurred under Lord Dalhousie who was the Governor-General from 1848 to 1856. He devised a policy that came to be known as the Doctrine of Lapse. The doctrine declared that if an Indian ruler died without a male heir his kingdom would “lapse”, that is, become part of Company territory. One kingdom after another was annexed simply by applying this doctrine: Satara (1848), Sambalpur (1850), Udaipur (1852), Nagpur (1853) and Jhansi (1854). Finally, in 1856, the Company also took over Awadh. This time the British had an added argument – they said they were “obliged by duty” to take over Awadh in order to free the people from the “misgovernment” of the Nawab! Enraged by the humiliating way in which the Nawab was deposed, the people of Awadh joined the great revolt that broke out in 1857. Warren Hastings (Governor-General from 1773 to 1785) was one of the many important figures who played a significant role in the expansion of Company power. By his time the Company had acquired power not only in Bengal , but also in Bombay and Madras, known as Presidencies. Each was ruled by a Goveroner. The supreme head of the administration was the Governor-General. Warren Hastings, the first Governor-General, introduced several administrative reforms, notably in the sphere of justice. From 1772 a new system of justice was established. Each district was to have two courts – a criminal court and a civil court. Under the Regulating Act of 1773, a new Supreme Court was established, while a court of appeal was also set up at Calcutta. The principal figure in an Indian district was the Collector. As the title suggests, his main job was to collect revenue and taxes and maintain law and order in his district with the help of judges, police officers and darogas. His office – the Collectorate – became the new centre of power and patronage that steadily replaced previous holders of authority. The Company army Colonial rule in India brought in some new ideas of administration and reform but its power rested on its military strength. In the eighteenth century Mughal successor states like Awadh and Benaras started recruiting peasants into their armies and trained them as professional soldiers. The East India Company adopted the same method when it began recruitment for its own army, which came to be known as the sepoy army. As warfare technology changed from the 1820s, the cavalry requirements of the Company’s army declined. This is because the British empire was fighting in Burma, Afghanistan and Egypt where soldiers were armed with muskets and matchlocks. The soldiers of the Company’s army had to keep pace with changing military requirements and its infantry regiments now became more important. Thus the East India Company was transformed from a trading company to a territorial colonial power. The arrival of new steam technology in the early nineteenth century also aided this process. Till then it would take anywhere between six and eight months to travel to India by sea. Steamships reduced the journey time to three weeks enabling more Britishers and their families to come to a far- off country like India. By 1857 the Company came to exercise direct rule over about 63 per cent of the territory and 78 per cent of the population of the Indian subcontinent. Combined with its indirect influence on the remaining territory and population of the country, the East India Company had virtually the whole of India under its control.